You know me…any excuse to bang on about waste and I’m onto it! Which is why I’m super excited to be an ambassador for Zero Waste Week 2014. 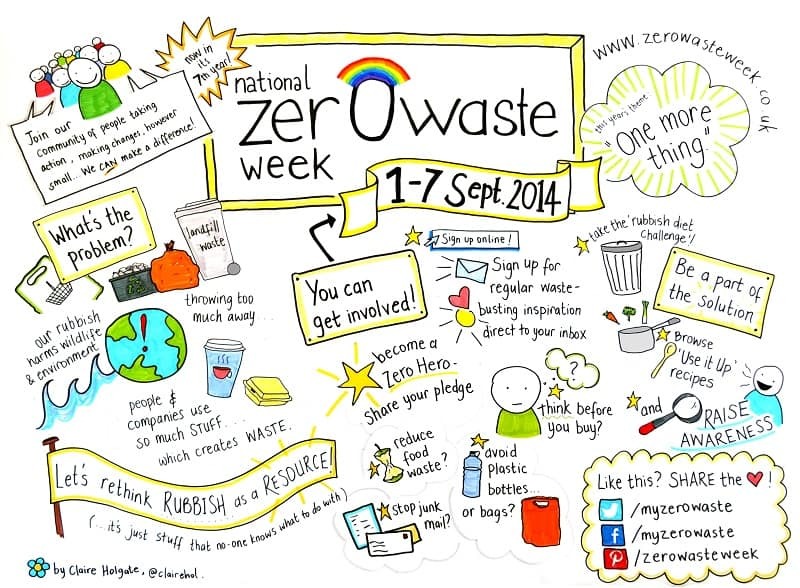 Zero Waste Week is…yes, you guessed it…a week of living with less waste, and it runs from 1st – 7th September. As part of the challenge, you need to make a waste pledge, and the theme this year is “one more thing”. 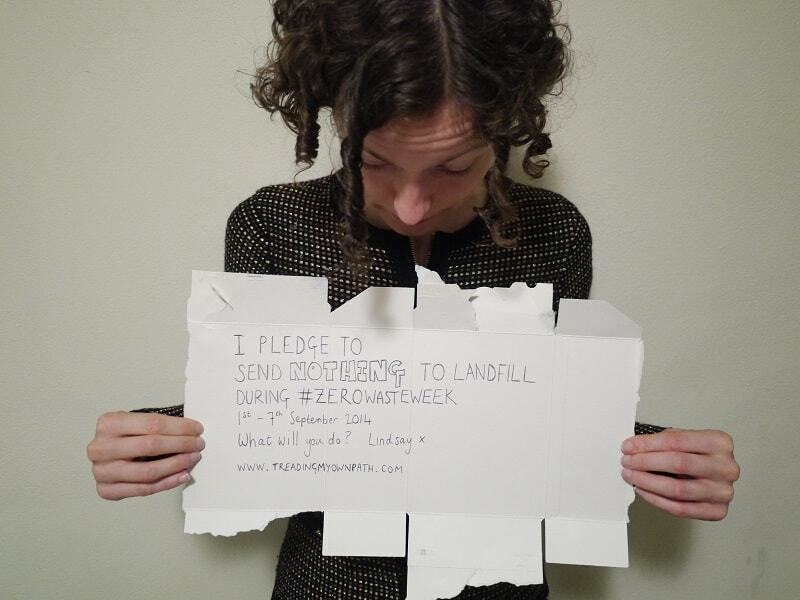 I’m already reasonably close to zero waste and I had a go at a completely zero waste week back in June with reasonable success (completely zero waste meaning no landfill and no recycling – only compostable waste), so I wasn’t sure what my pledge should be at first. What extra thing could I manage? Then I realised, I’m actually away from home that week, and it’s always much harder to keep standards up when on holiday. So I decided I’m going to commit to not sending anything to landfill during Zero Waste Week, although recyclables are acceptable. No matter how zero waste I try to be, there’s always something that sneaks into the rubbish bin, so I think this will be a good challenge! The challenge began in the UK, but you can take part no matter where you live. The problem of waste is global, after all, so let’s make this an international challenge! There’s still plenty of time to make a pledge. Check out the Zero Waste Week website for some more inspiration, and then join us and sign up for the challenge yourself : ) There’s no excuses: you still have almost two weeks to prepare! Once you’ve decided what your “one more thing” will be, please leave a comment below telling me what you’ve pledged. I’d love to hear from you! I’m taking part too, and will be looking through your blog for inspiration and ideas. My pledge is to meal plan based on the food I already have. Sorry for the delayed response – your reply went to my spam folder : / Food minimalism is something that has been a bit of a focus for me this year – I always have so much in my cupboards – so this sounds like a great plan! Hi. I’m here in Florida in the US. Love your blog and have started following this as well as Bea Johnson’s Zero Waste Home blog. I’d like to take part in the challenge and my one more thing will be to make my own bread to avoid the plastic bread bags. Hi Kathy, nice to meet you and thanks for your kind words! I love baking bread – homemade is so much better than store-bought and the process is so much fun! totally worth it. I haven’t baked any for a while… I must get back to it. Good luck! Thanks! I hope I didn’t set my standards too high! Feeling a little bit of pressure now…eek! You know … there is no wrong in this. Setting your standards high just means that you have much to explore. If you don’t achieve complete zero waste, you’ll surely learn a great deal about waste associated with vacations … and that’s very valuable. Just by making your plan, you’ve already succeeded! Go on you! My first foray into having a cleaner, and I specifically asked her not to take out the trash (though she emptied the bins nonetheless) – can’t believe how much paper waste she generated (not to mention chemicals)! I wonder if I can turn her to vinegar and my fabric rags? Have a glorious time in the countryside . Enjoy every second of it !! You are amazing !! Thanks so much Casey! I’ve just got a composter too – I think it will be the missing piece of the puzzle (just got to dig it in and get it started). Just keep chipping away at it, you still make a big difference : ) It does get easier over time, although I’m sure the kids are your biggest challenge! Maybe as they get older they will get on board more? Another challenge many people sign up for is giving plastic up for lent – interested in trying that? Wow really good blog, very inspirational. We should raise awareness of reducing, recycling our waste, not just that also we should look at other things like how we use water, electricity. personal story happened last week when our toilet flush stopped working i realize how much water we actually waste every time we flush water down the drain. Lets strive to make our moto of 2016 in London: Reuse – Recycle – Reduce. We have a very modern eco toilet – and it still uses 3/4.5 litres per flush (depending if you use half or full). There is a sink on the top so the clean flush water can be used for hand washing first – but it is still a waste. But better than nothing! Great blog post – love it!